Using a regular phone can be frustrating for your elderly loved one if they have trouble seeing properly. In that case, finding a phone with special features just for people with vision problems can be extremely helpful. When a loved one can’t see well, everyday activities like placing a phone call become much more difficult. Learn about the best phone features for the visually impaired. For older loved ones who can’t see well, colors that don’t contrast with each other can be difficult to distinguish. People with good eyesight can make those distinctions, but your loved one may not be able to. Having a phone that uses vibrant colors that contrast with each other allows them to distinguish amongst the different keys much more readily. As much as the contrasting colors can help, having a large surface area is just as important. This is because the larger keys allow the manufacturer to use a larger font size. The larger keys are also easier for your loved one to press if they have other motor issues. Larger buttons also leave room for Braille captioning, which can be helpful if your loved one recognizes Braille. Having a larger screen means that your loved one can easily read the caller ID information or see which numbers they’ve already pressed to dial a phone number. Speed dial is a wonderful tool because your loved one doesn’t have to remember or punch in an entire phone number. It can be a pain to try to remember which speed dial setting is associated with which person, however. Some phones offer a feature in which you can associate a picture with a speed dial setting. That can make choosing the right speed dial number much easier for your elderly loved one. Voice functions can save your loved one a lot of time. You can find phones that use voice confirmations to read back the phone number that your loved one dials or that notify them with an audible announcement that they have a message. These types of settings are usually ones that you can turn on or off as your loved one needs or uses them. 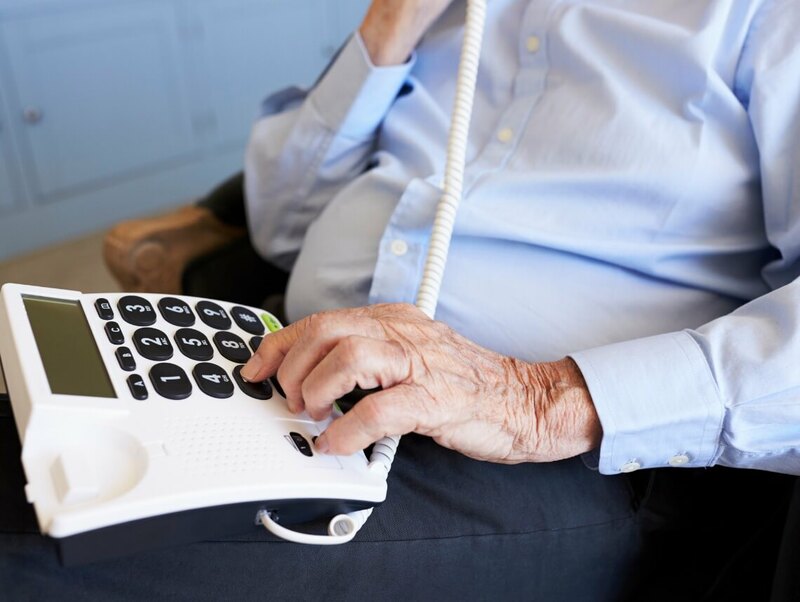 Your loved one’s senior home care providers may be able to suggest other features that can help them use their home phone much more easily.